The e-mail has arrived and it’s Spotlight renewal time. I’ve been a subscriber to The Spotlight for many years and have renewed faithfully on demand. However in this time of recession, when every penny has to work hard, I thought I would ask a few questions before pressing the Pay Now button. I e-mailed Spotlight asking if there was any way I could be notified whether my showreel or voice clips had been viewed by casting directors. How many of the Cast on Spotlight productions’ casting breakdowns on the website homepage had been made available to all subscribers? How might I gain access to the same casting breakdown information as agents? I had always known that as an unrepresented subscriber I was unlikely to have access to all the casting breakdowns flowing through Spotlight, but 20% – is that all? That means, of course, that 80% of casting breakdowns go only to agents who need to pay no subscription for this privileged information, all they need do is have five clients subscribing to The Spotlight. I, like many others, subscribe to Spotlight for one reason: Casting breakdowns. If I am only getting 20% of the service why am I paying 100% of the subscription? a) My subscription should be £29.20 to represent value for money. b) Subscribers are subsidising agents’ businesses to the tune of £7,008,000. c) £7,008,000 divided by the number of agents receiving information from Spotlight Link equals the amount agents should be paying in subscriptions. The above may be based on simplistic arithmetic and on certain assumptions and with certain variables; however, they represent the situation as it appears to me, an unrepresented subscriber. The situation as it currently stands is the equivalent of me going to the supermarket, filling my trolley with nice food for a dinner party, paying for it and only being able to take home a microwave dinner for one I had bought as an afterthought. And someone else is having my dinner party. Spotlight: Is it worth it? I will dutifully press the ‘Pay Now’ button and spend £146 because, like all actors, I hate to think that ‘that job’ might be out there and I might miss it. Some things never change. Perhaps they should. The decision as to which groups of agents or performers are sent a casting brief via Spotlight rests entirely with the casting professionals who use our service. Depending on their personal preference, or the nature of the production concerned, our casting users can send their brief to selected agents, to all agents, or to all agents and performers. We cannot force their hand in this respect and nor would we want to, since then they wouldn’t use our service. Our duty to our members is to ensure Spotlight is used by the very best casting and production teams, and to do this we must offer them the best and most flexible tools for them to do their jobs. Spotlight membership is about much more than the roles sent out via The Spotlight Link. ‘Search’ is still the most popular tool for casting professionals using our website. When asked in a recent customer survey ‘What is the most useful part of Spotlight’s service?’, 55% of our casting users told us this was ‘Spotlight’s online database to search performers’ in comparison with 40% who said ‘The Spotlight Link to send breakdowns’. When it comes to ‘Search’, details for every single Spotlight member are at casting directors’ fingertips, regardless of their representation status. Our long-standing relationship with the casting community and our unmatched insight into how it operates means that we offer optimal tools which enable all of our members to promote themselves. We listen to our industry and create bespoke solutions for those within it. We also provide a number of other valuable member services including career advice, seminars with leading professionals, industry insight, and offers. We pride ourselves in our unique position at the heart of the industry, supporting professional performers throughout their careers. In short, we believe Spotlight provides excellent value for money, offering its members unrivalled exposure to the very best casting professionals and opportunities. I’m grateful to Natasha Tripney for writing in such generous terms about our work at the Octagon and in particular our decision to pair some of our plays in our ten-play season ticket (Creative Taps Gush, September 12). The article gives the impression that the second pairing in our 2013/14 season will be All My Sons and Ghosts, whereas this was the first pairing of my first season (2009/10). I therefore write to clarify the order in which the productions of the Octagon Theatre’s 2013/14 season will be performed to avoid any confusion. As Natasha mentions in the feature, JB Priestley’s An Inspector Calls and Long Day’s Journey Into Night by Eugene O’Neill have been deliberately paired together due to their thematic links, as have a number of other productions that make up the rest of our forthcoming season. Following our festive production, Robin Hood, by Morgan Lloyd Malcolm, directed by Elizabeth Newman, our second pairing of the season is two Lancashire-based plays: Hobson’s Choice and Shakespeare’s Twelfth Night, which will be performed early 2014. Many scholars believe that Shakespeare spent time in Lancashire staying at both Hoghton Tower and Knowsley Hall. These regional links have provided the inspiration for this production – which will be set in a stately home in Lancashire, in a Downton Abbey meets Upstairs, Downstairs version. Once again the Octagon will present a co-production with the leading new writing touring company, Out Of Joint, when Max Stafford-Clark directs Stella Feehily’s political comedy This May Hurt A Bit which takes a close look at the fight over our NHS. The season then continues with two plays by Tom Kempinski presented in repertoire: Duet for One and Separation. We will once again present musicals as part of our season, the first being Brassed Off which will be a co-production between the Octagon Theatre, York Theatre Royal and the Touring Consortium Theatre Company. We will close the season with Love Story by Erich Segal – its first regional production since its West End run. 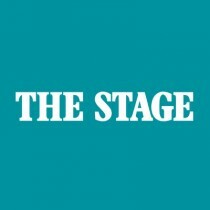 Ian Kellgren (Letters, September 12) raises many valid points regarding the future demand for those trained in backstage arts, and the potential shortfalls that theatre, live music and the events sectors face. New skillsets, technologies and job roles are constantly emerging, so I would wish to add a positive outlook to Ian’s concerns regarding technical training coming under pressure. 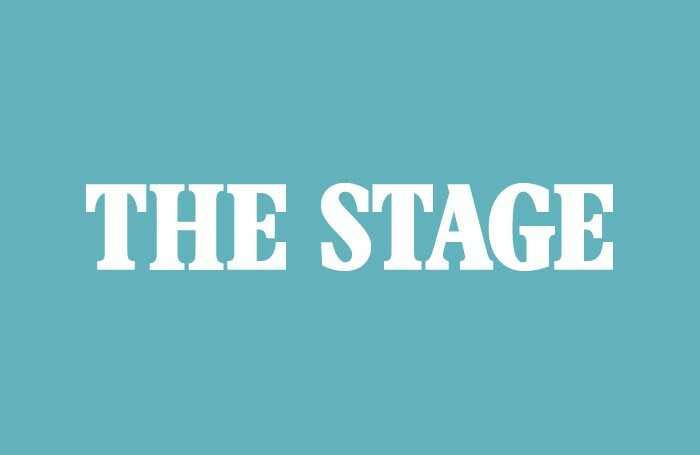 While many establishments might indeed face reduced funding, here at Backstage Academy we are creating a new model to deliver backstage training. We are privately funded, and offer a range of degree level courses that students are able to fund via the student loan. This model ensures the continued growth of backstage courses, and will continue to feed our industry with employable graduates who have an excellent portfolio of practical skills. It goes to show that it’s just as important to explore new training and funding models as it is to develop and evolve content of courses.